Please can you introduce yourself and the work you do at Centro E. Piaggio? My name is Arti Ahluwalia and I am a professor of biomedical engineering. I'm also the director of Centro E. Piaggio, a multi-disciplinary research center focused on activities in robotics and biomedical engineering. What we're trying to do is to use the human body as an inspiration for making better robots, better machines, and also for improving the quality of life and the environment. The work that we're doing in particular involves the development of better models of the human body. To do that, we need to put together cells, tissues, culture them in an artificial environment so that they feel as if they're inside the human body. We do that in order to be able to study tissues close up without having to resort to animals. The combination of robotics and biomedical engineering in a multi-disciplinary center is quite unique – how did that come to be, and what is it like working in that environment? I think the interdisciplinary nature of the centre is one of the things that interests me most about working here. What we do here is we put together engineering technologies, mathematical tools, computational tools, biology, chemistry, physics, and we come out with innovative ideas, products, new techniques, new protocols for advancing human knowledge. So, for example, I have a degree in physics, and I think that physics gives you the fundamental basis for thinking in a certain way, in which you try and understand phenomena by explaining them analytically. I also have a deep interest in the environment, as well as in human beings; I love animals as well, so for me this is like the perfect combination for my work. I can use my way of thinking as a physicist and then apply it to studying biology, biological systems, and the human body. Centro E. Piaggio was established in 1960. It wasn't an interdisciplinary research center at the time. It was a center of bioengineering and robotics, and those are still its two pillars, but in time it's become more human-centered, which is due to the fact that we absorbed these disciplines by bringing in people and staff from different departments. It's actually one of the oldest interdisciplinary centers in the world. The Data Brain Project at Centro E. Piaggio - Logos Biosystems from AZoNetwork on Vimeo. Although it wasn't by design initially, we do now have this strategy of gearing the center's research to human, environmental-centered science across a range of disciplines. I think this came about because many people began realizing, about twenty years ago, that the best design is often found in biology, designed by evolution. 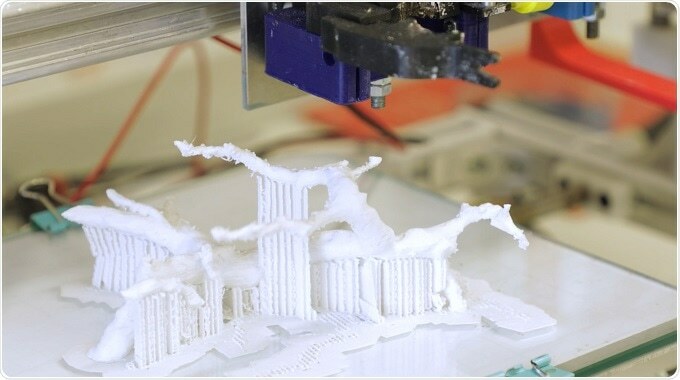 In order to optimize the design of machines, the motion of robots, you need to study how biological systems move, and then apply those rules and those control algorithms to the machines. I also think that one of the important characteristics of this center is not just the multidisciplinarity, but the fact that we have a very good gender balance, at least amongst the young researchers. We have a large number of females who are excellent researchers, and we also have male researchers, and the way that they interact leads to, again, new ideas, new thoughts, and new ways of developing our fields of work. When you come into the center, you get this feeling that this is a little bit different from other labs, because there's like an almost effervescent feeling, of things happening, things going on, and it's not just because of the interdisciplinarity, but I think because of the fact that we have people from all genders and from all scientific disciplines - we have engineers, biologists, chemists, physicists, and that mix really leads to an excellent blend of innovative science. Pisa, and the rest of Tuscany, could be called the birthplace of modern science, due to its significance during the Renaissance - as a scientist working in Pisa today, do you feel inspired by that legacy? Yes, it is really great to work here. I think Pisa, like the rest of Italy, is really the birthplace of European culture and of a rational, scientific approach, a scientific way of thinking, and that is a great inspiration for all of us. Rather than being inspired ideologies or beliefs, we're really inspired by evidence and rationality. So yes, it is very inspirational to work here. I can see the tower from my window! Please can you introduce the DataBrain project - what are the aims of this initiative, and what technologies are you using to achieve them? The DataBrain project is a project financed by the University of Pisa, and the aim of the project is to use deep imaging techniques like confocal and two-photon microscopy, to image clarified brains, and thereby extract the structural, morphometric information of neuron architecture in its native 3D environment, and then use that information, use specific mathematical algorithms to store that information, and then use it to 3D print the neurons in order to better understand how their architecture modulates their function. In that way, zooming into the brain architecture, we can see how, for example, diseases or disorders such as autism or Parkinson's can alter the structure, and therefore the functional connections. The data has been placed on an open platform so that anybody can use the stored architectures to print neurons themselves, and they can also use the algorithms that we have developed to extract the same type of information from the tissue that the researchers might be interested in. How do the mathematical and programmatic models capture a digital map of the internal structure of the brain? To digitalize a map of the brain, we need to acquire the brain at cellular resolution and deep in the tissue. But the brain is full of lipids, so we need the X-CLARITY to clarify the brain. We’ve demonstrated that the clarification can be regarded as a trade-off between tissue transparency, and protein loss within the tissue – so following this simple rule, you can have the best contrasted images, which allow my algorithms to work. After the clarification process, I acquire the samples using a confocal microscope. Then, I use my smart region-growing algorithm to reconstruct a single neuron from the forest of the brain. My algorithm works on the pixel intensity of the brain images, and automatically reconstructs, not just traces, single neurons. So, we can have Fourier information about the neuron volume, for example dendrite thickness. My work can help the scientific community to unravel the mystery of the brain, because the structure of the brain is strongly connected with the function of the brain, so giving the scientific community a high-fidelity map of the brain can help them understand how it works. Mapping Neurons in the Brain from AZoNetwork on Vimeo. Answer from Chiara Magliaro, post-doc at the Centro E. Piaggio, University of Pisa. Her research is focused on integrated advanced imaging techniques with novel image processing algorithms, to digitalize a high-fidelity map of the mammalian brain, for example the mouse brain, and to digitalize both the cellome and the connectome, and understand how the brain works and how it gets sick. 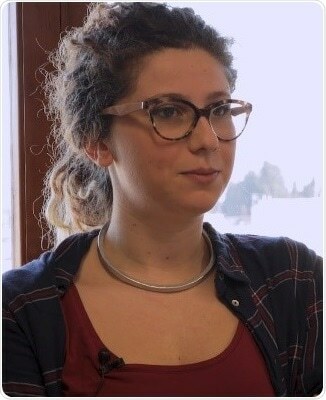 During her PhD thesis, Chiara has developed a workflow to integrate imaging processing techniques and advanced imaging techniques, to study the sexual dimorphism in murine model of autism, to understand why there is an imbalance in incidence between males and females. What is the importance of tissue clearing techniques for DataBrain and your other projects? Are there insights that would be impossible or much more difficult to achieve without it? The tissue clearing methodology and the electrophoretic tissue clearing machine that we're using, the X-CLARITY from Logos Biosystems, has actually been fundamental to the DataBrain project, because without being able to clear tissues of the lipids, we wouldn't be able to image deep into brains, and so we wouldn't be able to extract that structural information that is so important to understand the function of mammalian brains. I think it's given us a huge advantage, and it's a great leap forward in imaging, not just of brain tissue, but also of other types of tissue because we can now clarify different organs. Mini-organs as well can now be clarified and therefore visualized in-depth without having to resort to techniques that break down the tissue, which would mean we might lose the structure while we're trying to investigate it. What do you hope will be the impact of your work in the longer term? Well, in the longer term we have a lot of inspirational ideas. I suppose one of the driving forces for the work that I do, personal driving forces, is being able to reduce the number of animals used in scientific experiments, but also to be able to get a better idea of how the human body functions. We obviously can't do that by using animals; we have to do it by using humans, and if we can build these mini physiological-like systems in vitro, we actually have a super way of approaching themes such as personalized medicine, toxicology, disease models, etc. I think it's important for scientists to be aware of the ethical implications of their work, and to be also aware of the impact of their work on society and on the environment. Our work isn’t directly focused on reducing animal testing, and I don’t think that science should be driven by any sort of ideology, such as beliefs that it’s incorrect to use animals in experimental work, or beliefs that humans are superior to animals. So whilst we are working to gain a better understanding of how the human body functions, and the ethical implications of the work are important, I think they should be driven by a rational and illuminated way of approaching science, as well as life in general. Arti Ahluwalia was born in Kenya and educated in the UK. She has a B.Sc. in Physics from University of Bath, M.Sc. 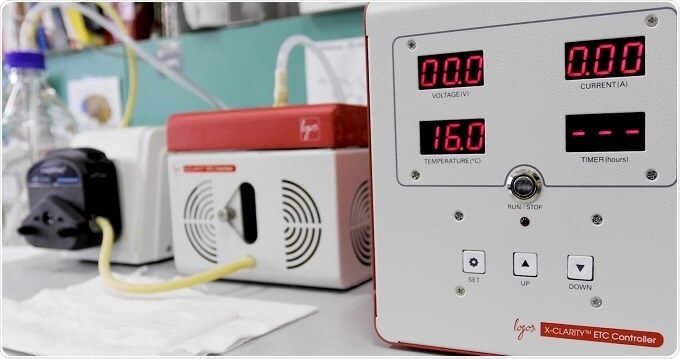 in Instrumentation and Analytical Science from the University of Manchester (formerly UMIST), UK and a Ph.D. in Bioengineering from the Polytechnic of Milan, Italy. Her research interests are in in-vitro models of integrative pathophysiology and associated innovative materials and advanced cell culture systems. She is also involved in capacity building in the field of Biomedical Engineering, in association with UNECA, FABLAB Pisa and ABEC (the African Biomedical Engineering Consortium).